Boat fenders act as a protective barrier from impact damage to the hull from other boats or docks. Protecting your boat with fenders is fairly low cost and prevents any unexpected damage out of your control such as strong winds. The best boat fender is the Taylor Made Tuff End Inflatable Vinyl Boat Buoy with a range of sizes and colors to choose from. Protective fenders for your boat come in a range of shapes from round buoy’s to the cylindrical double eye fender. Choosing the shape that will be more effective is dependent upon your type of boat. Heavy duty fenders are essential because there is a large amount of force that is being pushed against the boat fender and another object. The material used is also critical as many cheaper alternatives can leave bad marks on the hull. The majority of marine anchoring equipment can be mounted vertically or horizontally and have multiple across the vessel. For this reason, you will want to check on the price per fender if you have a particularly large boat. Considering how expensive boat hull damage is to repair are and how inexpensive fenders are, it seems common sense to invest in high quality examples. 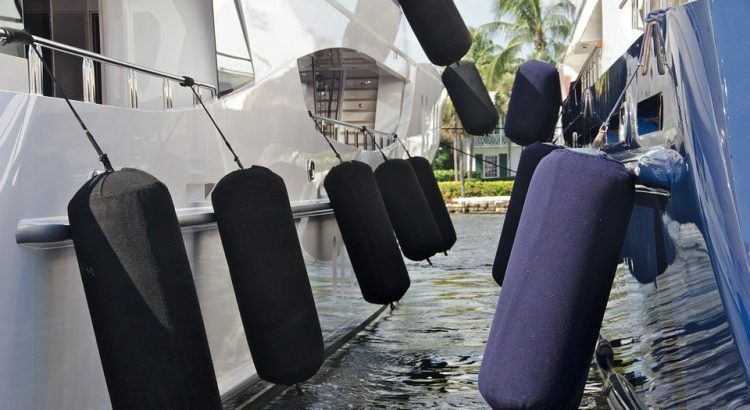 Below are the best boat fenders to protect your hull from damage from other boats or docks. The Taylor Made 1149 Tuff End Inflatable Vinyl Boat Buoy is a high end boat fender that comes in a range of diameters ranging from 9 to 34 inches inches as well as different color choices. All Taylor Made products have a reputation for heavy duty marine applications and they are manufactured in the USA. These buoy fenders for boats have injected molded ends tested to 2,000 PSI and feature large line holes for the majority of marine ropes. Inflation on each boat fender can be achieved with an air pump and universal adapter for easy blowing up of the buoy. The marine grade vinyl is flexible and can withstand heavy impact damage with ease. Overall, the Taylor Made Vinyl Boat Fender Buoy is an extremely strong round fender that offers a range of sizes for all boats. It is the best round boat fender you can buy and there are even some people using it as a punch bag and swing! For those wanting to spend a little less but still want a heavy duty boat fender, the Polyform A Series is a great alternative. Like the Taylor Made, it comes in 7 different colors and sizes starting from 11.5 inches to 36 inches for the larger boats. Unlike other fenders, the Polyform is a single piece construction that has the additional benefit of extra strength. Inflation is quick and simple with Polyform inflation adapters and connections, which you will need to purchase separate. This does increase the cost of the boat fender, so its worth purchasing a couple to make it worthwhile. Polyform produce a range of boat fenders such as the G Series below for boat owners not looking for a round fender. This A Series is the best cheap buoy boat fender and has the most choice in terms of colors for those wanting to improve the appearance of their vessel. The F Series by Polyform is a heavy duty boat fender designed for heavy use in tough situations. It is the best boat fender produced by Polyform and is made from a single piece for maximum strength. The F Series is available in white, blue and black with sizes ranging from 24 to 41 inches, which is ideal for small to large vessels. The Polyform F Series is the strongest boat fender that is popular among professional mariners requiring commercial strength without the excessive prices. The double-eye design allows the fenders to be hung vertically or horizontally with the reinforced rope hold providing excellent strength too. The Norestar boat fenders consist of a double eye design that can hang both vertically and horizontally. They are constructed from marine graded vinyl that is tested against sun, salt and other damaging weathering conditions for maximum durability. They are also non abrasive to prevent damage to the gel coat of your boat. Like the G Series below, the Norestar fender is shipped inflated and can be inflated with any air pump and universal adapter. Overall, the Norestar alternative provides great value for money as it comes equipped with fender lines and as a pair. There aren’t too many size and only a choice of black or blue colored boat fenders. The G Series by Polyform is the most popular boat fender due to the cheapness and heavy duty design. It has molded-in ribs that prevent punctures and abrasion and even wall thickness for maximum strength. Unlike other fenders, the G Series is shipped inflated to the correct PSI so that there is no need to mess around with air pumps and adapters. This model is the entry level cheap boat fender by Polyform with a distinctive design that is copied by other manufacturers that charge double the price. It is the best boat fender for small boats and the reasonable price means that you can purchase more fenders for extra protection. 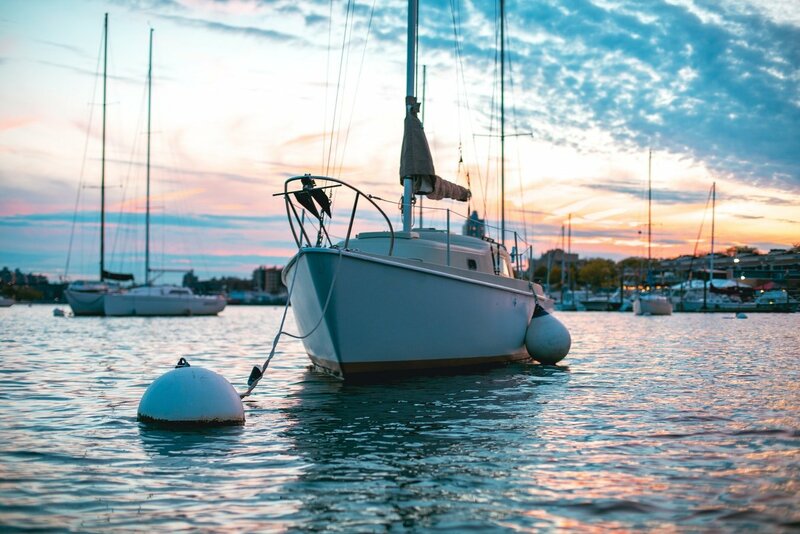 Purchasing a boat is not only a luxury but also an investment that requires protection. Using a boat fender to protect the hull and other components is a worthwhile purchase that can prevent avoidable damage and repair bills. The design of fenders varies and its more important to buy the type that is suited to your boat and not what looks best. There are many custom made fenders tailored towards boats but they are extremely expensive and quite frankly not required as the majority are universal. 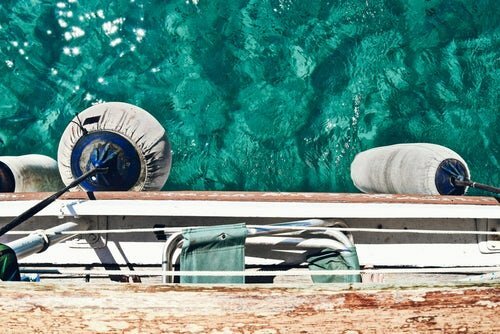 Owning a variety of types will ensure maximum protection for different mooring situations. Mooring up to docks in different locations will provide different challenges that certain fenders deal better with. Heavy duty boat fenders are often more expensive and many people will avoid paying the extra. However this means the boat won’t be as protected as it should be and can cause damage with big impacts. When choosing boat fenders, the size of them should consider the boat weight, boat length and mooring conditions. All fender manufacturers include useful tables to assist your sizing options based on the boats length and weight. Of course, you will need to assess the mooring conditions and base the fender choice on common sense. The more fenders, the more protected your expensive boat will be. However, too many fenders can be slightly overkill and not only look odd but also require more effort putting them in place each time. The majority of boat owners will use on fender per 10 feet of waterline with a minimum of three fenders. For example, a 15 foot boat will have 3 fenders, so will a 20 foot boat but a 50 foot boat would have 5. The correct placement of a boat fender is usually where the fender bottom is just touching the top of the water. Once it is reaching the top of the water, drag them up by two inches to prevent the dock from pushing the fender out of position. Fenders should also be tied to an anchor point and as low as possible on the boat to prevent swings and other unintentional movements. The fender should be placed at maximum beam and when rafting, its advised to use more fenders to prevent damage. Just like your boat, you will also need to ensure the fenders are kept clean as they can hold onto dirt fairly quickly. If the fenders that you do purchase do not come with anything to hand it with, using heavy duty anchor rope is a great alternative that is relatively cheap to purchase. Pumping up your boat fenders will require an inflatable air pump and sometimes a specific adapter that will come with the boat fenders themselves. Unless you are using a cheap boat that you are not really bothered about when it gets damaged then boat fenders may not be a priority. However, those that have just spent serious money on their boat as an investment, investing into heavy duty boat fenders that protect the hull is essential. Choosing the correct fender for your boat and the correct size are the two most important factors and is vital for maximum protection. The recommended boat fenders stated within this article offer a range of sizes, shapes and colors for the savvy boat owners.